Packed to the property lines with lawmakers, monuments, and millions of hardworking commuters, Washington, DC, combines the hustle, bustle, and robustness of American ideals within a single metropolitan area. What I like about Best Pick Reports is all the advice it gives. When you're calling a company, you may not know what they're talking about, but with the educational information in this book, I was more prepared than ever. I've used Best Pick Reports for so long that, for the most part, I've already picked my favorite companies, but each year I look back through it to confirm that these companies are still good. I find it very useful. The book has a lot of knowledge, and the website is good too. I tell people about it all the time. It definitely gives people insight into which companies are above the rest. When you have a problem, it's nice to know that you can get someone who is reliable. What I like about the book is that I think it saves me a lot of steps. I feel that if you've got a company in there, they're probably worth using. We like the book very much because we feel like any services that we may need, we've got Best Pick Reports as a reference. We're really happy with it. We recently used Best Pick Reports to find a contractor. We'd been sitting here, thinking, 'All right, who do we hire for this?' You've done the research, so we went to the book. It's good to have. I'm thankful for that book. I just love it. I've used quite a few of the recommendations. I'm very pleased. I hadn't known which contractors to get, and we're in a different area than where we used to live. It was so helpful. I love the book. It started showing up in my mail, and it's been great. I was quite impressed with the homeowners' feedback. I've actually plugged in with quite a number of people in the area who have also said many of the companies that are published in Best Pick Reports were very good. I have the book, and I use it. I'll be using it again soon to find a waterproofer. I like the fact that companies can't pay to be in the recommendations. I trust Best Pick Reports, and I like having it. We use your book. Best Pick Reports is a great independent service. People call me up all the time asking me about companies because they know I used to be a facilities manager, and I refer them to this book all the time. It gives local homeowners a review of people who have done work in the area. It's kind of a quick snapshot into a lot of the contractors out there. I like it a lot. There are lots of folks in those industries, so Best Pick Reports streamlines making a choice a lot quicker than just trying to go through a phone book. I think it's awesome. I thought it was great, especially since the recommendations are based off other peoples' referrals and experiences in our area. Spanning two states and the federal District of Columbia, the Washington, DC, metro area is a bustling hub of activity for almost every industry. Residents of the area have a front-row seat to events that will be chronicled in history books for centuries to come, and when it’s time to relax, it’s hard to beat the seemingly unending list of world-class restaurants, parks, and museums, many of them boasting free admission. The District is made up of neighborhoods with distinct personalities, all easily accessed by the area’s extensive public transportation system, the Metro. The trains and buses of the Metro make getting from place to place much quicker than sitting in traffic in your personal vehicle, but be mindful of weekday rush hours when the stations are crowded and fares increase. And regardless of what time of day you enter a Metro station, always remember that when it comes to escalators, stand only on the right. Home prices and property values in the DC metro area are higher than the national average, and buyers follow the real estate industry’s maxim of "location, location, location". While the lower home prices of suburban neighborhoods are a draw for many people, younger buyers tend to prefer to be right in the middle of the action. Homes on Capitol Hill are popular with buyers looking for historic properties; those in the market for even more unique accommodations should consider the few decommissioned neighborhood churches that have been converted into condominiums. 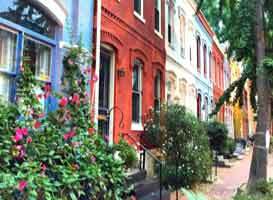 The older, established neighborhoods in the northwest corner of the District are home to some of the pricier properties in the area. More affordable condominiums and apartments in newer high-rise buildings with long lists of amenities are growing in popularity among first-time homebuyers and older buyers who are downsizing. Buyers on a budget who want to remain in the District are flocking to up-and-coming neighborhoods in Southeast DC. Suburban Maryland, notably Silver Spring and Bethesda, offers families and young professionals proximity to DC as well as highly ranked school systems and a wider range of home prices. Similar to almost any housing market in the United States, homeowners in the DC metro area see a significant return on their investment in major home updates and renovations, especially kitchens and bathrooms. Older or historic homes in the metro area tend to lack the large, open kitchens and multiple bathrooms that many modern homebuyers require, so remodeling those rooms gives homeowners an advantage in the competitive real estate market when it’s time to sell. Energy-efficient upgrades, such as new or increased insulation or double-pane windows, are also high-return improvements. Today’s homebuyers value a low carbon footprint (and reasonable utility bills), soinvesting in energy-saving products and systems is a smart move. The DC metro area experiences four distinct seasons, so homeowners must be vigilant with home maintenance tasks to protect their investment. Water is one of a home’s biggest enemies, so clean your gutters regularly—or hire a professional to do so. One cleaning in the spring and another in the fall should be sufficient to keep your gutters and downspouts clear so they can carry rain and snowmelt away from your home’s foundation. Be mindful of yard drainage problems that could lead to water intrusion in the basement or crawl space. Look for puddled water on the lawn after a storm, and contact a drainage specialist for help. He or she will design custom solutions for any problems. Keep an eye on your roof through the year. If you notice any problems—missing or loose shingles, leaks, or damaged flashing, for example—be sure to call a roofing professional. Proper venting is vital to a healthy, long-lasting roof. Ideally, your roof will be equipped with a dual-vent system of ridge and soffit vents. This system circulates air through the attic space and prevents a host of problems, including moisture accumulation, mold growth, and ice dams. Look to our A-rated Best Pick companies for your home improvement and maintenance needs. 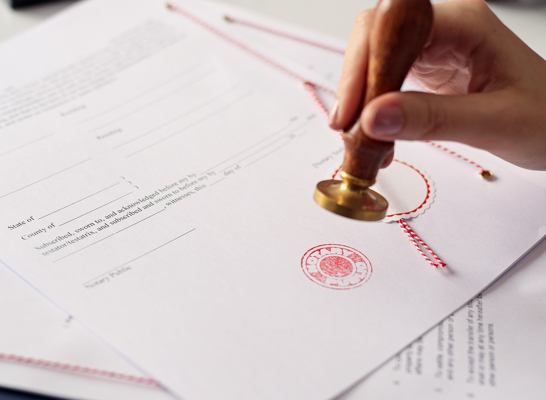 We do the research to find the best contractors for you, and we also take the time to annually verify any required licenses and insurance—even for contractors that service both Maryland and Virginia as well as the District. If you’re in the mood to try a DIY project first, check out the links in the section below to make sure you understand any applicable laws and regulations. 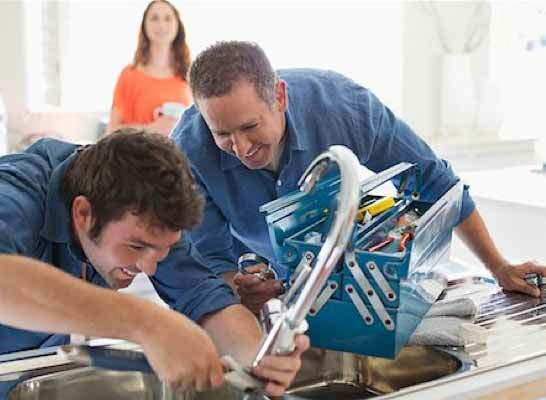 Most major home improvement projects (and even some smaller ones) require some sort of permit or license. While these regulations may seem like roadblocks at times, they’re in place to keep both homeowners and contractors safe and help protect your investment.